Surrounded by throwback Italian bars and pasta joints, Tattoo Boogaloo’s retro facade blends into its nostalgic North Beach surroundings. 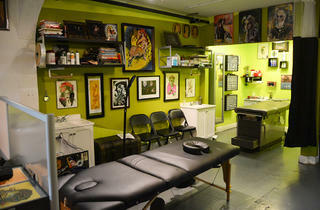 But the shop’s six tattooists excel at new-school designs with abstract coloring, fine detailing and gray-scale shading. 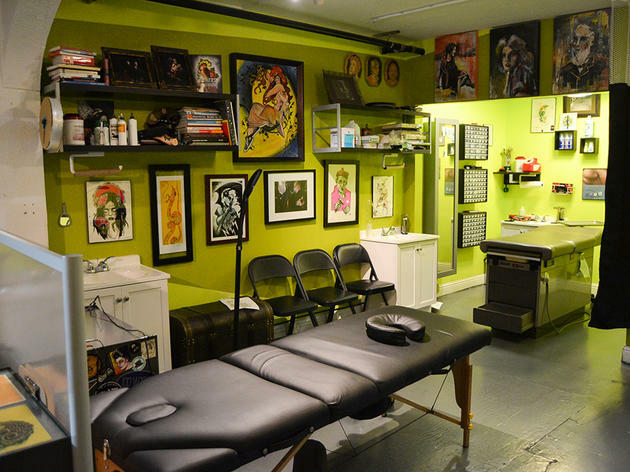 A piercer is also available. Advance bookings are essential and appointments can be hard to snag.